The Steeple Square revitalization project in Dubuque’s historic Washington Neighborhood received a $15,000 lift, thanks to online voters. Dupaco asked for the public’s support for the project by way of online votes in its effort to win the Strong Communities Award, which honors projects, people and programs that promote small business growth and retention in communities. 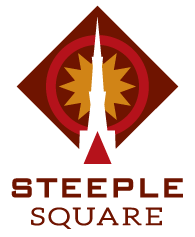 The Federal Home Loan Bank of Des Moines selected Dupaco’s Steeple Square project as one of seven national finalists for the online competition. Voting for the monetary award took place Sept. 18-22 at www.fhlbdm.com/award. The entry from Dupaco, a FHLB Des Moines member financial institution, competed against projects in Honolulu, Hawaii, and St. Louis, Mo. Along with other community partners, Dupaco leads the effort to revitalize Dubuque’s former St. Mary’s Catholic Church campus, transforming it into Steeple Square. The campus will provide a vibrant hub for events, arts and culture, education and outreach programs, affordable housing and childcare—helping enrich the social and cultural vibrancy in downtown Dubuque. Dupaco has made a significant investment in the effort, and many of its employees have provided both time and funding to it as well.